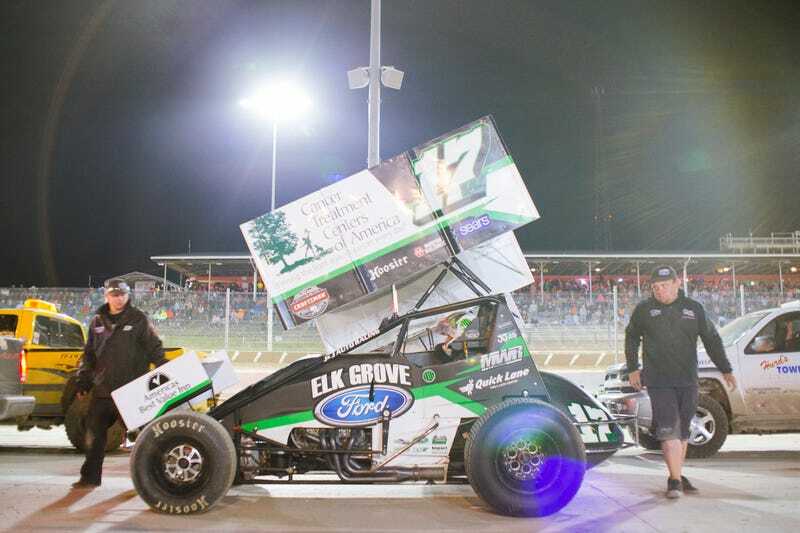 I’ll never forget watching Bryan Clauson walk from victory lane directly into another car to belt up for a second race. You can read about the details of Clauson’s death here, how he was T-boned after a crash and airlifted to a hospital where he later died. He was just 27. I’ll describe how I briefly got a sense of the man. It was at Eldora just a few months ago. If Eldora isn’t the most daunting track in the country, I don’t know what is. And if there’s a more daunting kind of car to race than a 410 wingless sprint car, basically a 900 horsepower V8 with a seat and a steering wheel, I’ve never seen it. That’s what Clauson won in, and he walked right to his winged sprint car as soon as Eldora’s announcers let him step away from the microphone following his win. I had never seen anything like it, and I don’t know if I ever will again. Clauson was looking to run 200 races this year, one of which was the Indy 500, another of which was a sprint car race he won, again, on that same day. I didn’t know the guy very well. I’d heard about him years ago when I started following dirt track racing, and I liked him because he was born a few months before me on the other side of Sacramento from where I grew up. He was a side of my area, a side of the country I’d never gotten to know. When I first saw him pacing around the pits for his races that weekend, he seemed like the meanest, most straightlaced race car driver I had ever seen. Constant stern stare. Unapproachably serious. And that had me worried, because two days later he was supposed to be playing the role of my driving coach, giving me pointers on how to squirrel a McLaren around Eldora’s dirt oval. So I was a little concerned that he was going to be, uh, less than personable on camera. But when we met again, his races now two days behind him, he was the just about the most affable, human dude, joking in a free minute, helping wheel out his own race car from his trailer in another. He was keen to help his crew, and me, and our camera guys. He seemed like he was aware of everyone around him, in tune with what they needed, and thinking of how he could make that happen. His race day demeanor was a byproduct of the work he did; Clauson excelled in the most dangerous kind of auto racing still running in this country. 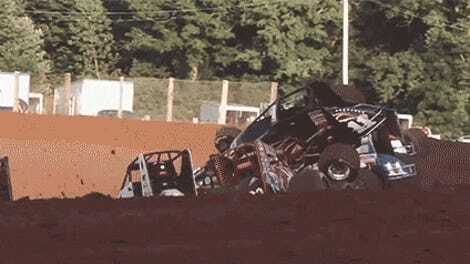 Dirt track racing is fast and raw, but also accessible. 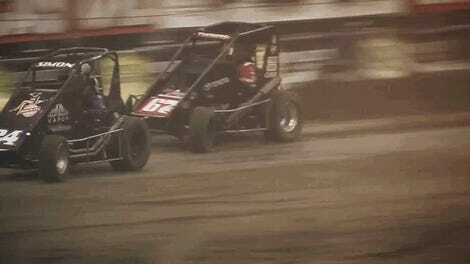 It’s a high-risk platform for an aspiring driver, and none took it on like Clauson. Two-hundred races in a year. Unreal. He was as old school as they come, and he will be missed.